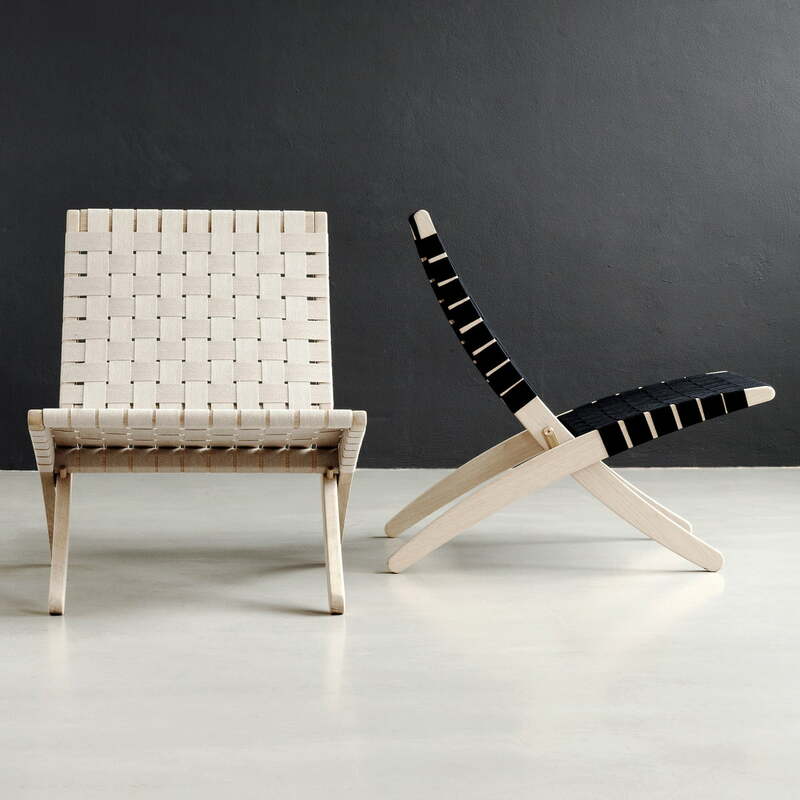 The MG501 Chair - also known as Cuba Chair - is a timeless folding chair by Morten Gøttler. Thanks to timeless appearance, the design from 1997 is suitable for a variety of living areas in which flexibility and comfort are required. The folding MG501 chair represents the perfect solution when additional seats are needed. Afterwards the lounge chair can then be easily and space-saving folded up and stowed. 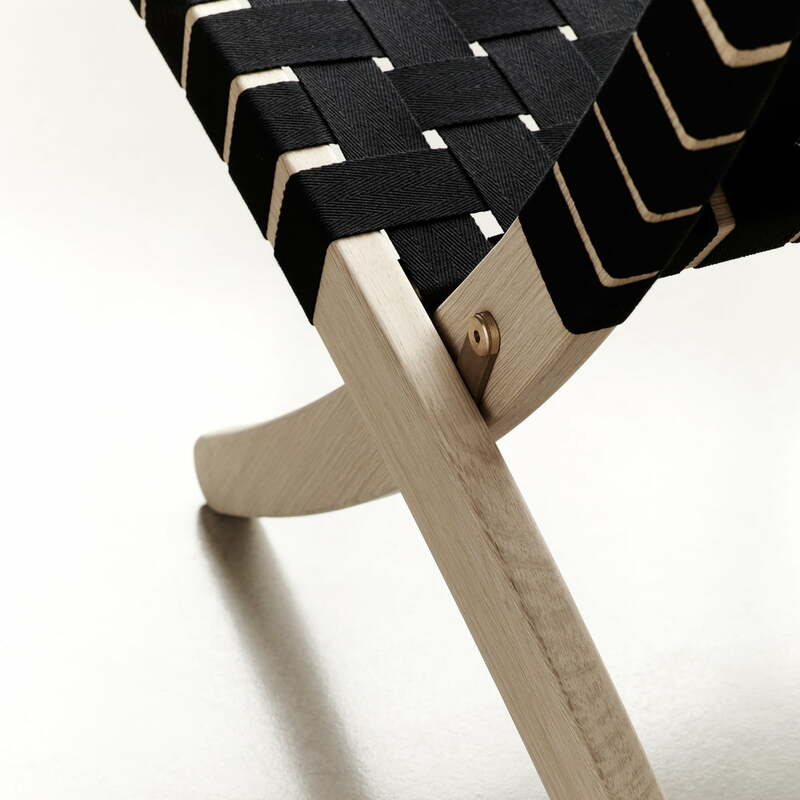 The solid frame of the chair is made of oak. The stable design is complemented by a cotton girths netting, which offers comfort and a special look. The oak frame of the MG501 is available in different variants: soaped, oiled or black. Combined with the girth in black, natural or white you can configure the Carl Hansen folding chair according to your wishes. 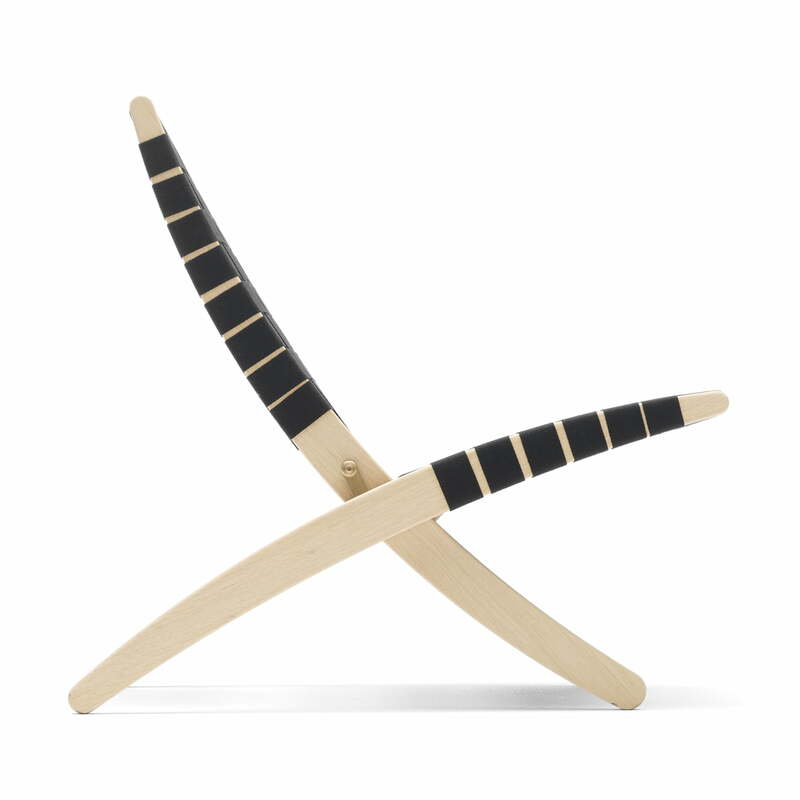 Beautiful comfortable chair, excellently crafted and very sturdy. I would say to make sure to check the dimensions carefully for your space, as the chair is bigger than the images would suggest. Rear view of the flexible folding chair MG501, also called Cuba Chair, by the Danish manufacturer Carl Hansen with an oak frame and weaved girths in black. Side view of the Chair MG501 Cuba Chair by the Danish designer Carl Hansen. 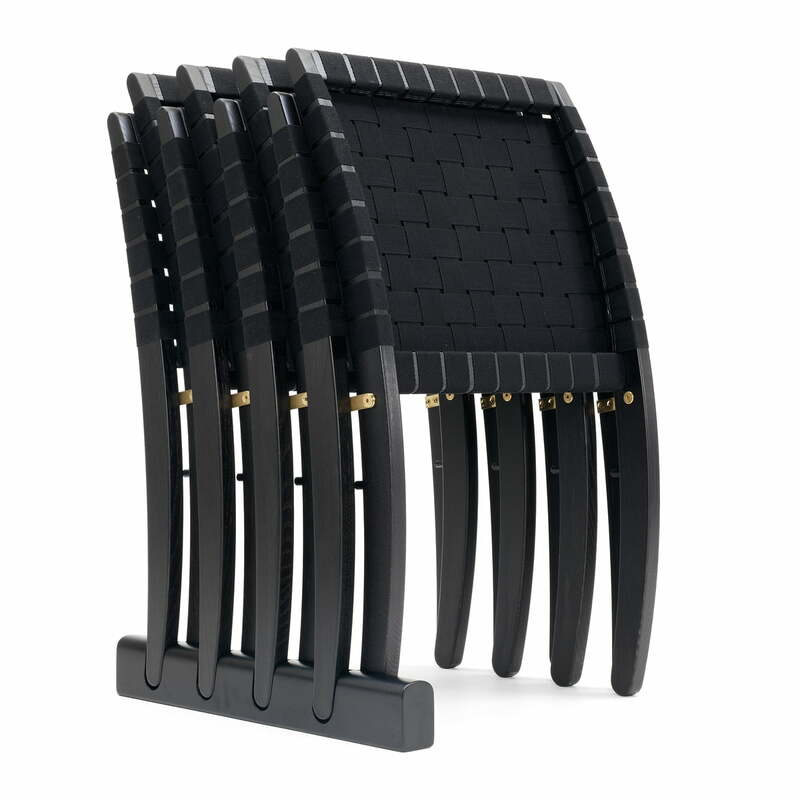 The girth netting in black is fixed on a solid wooden frame made of oiled oak. 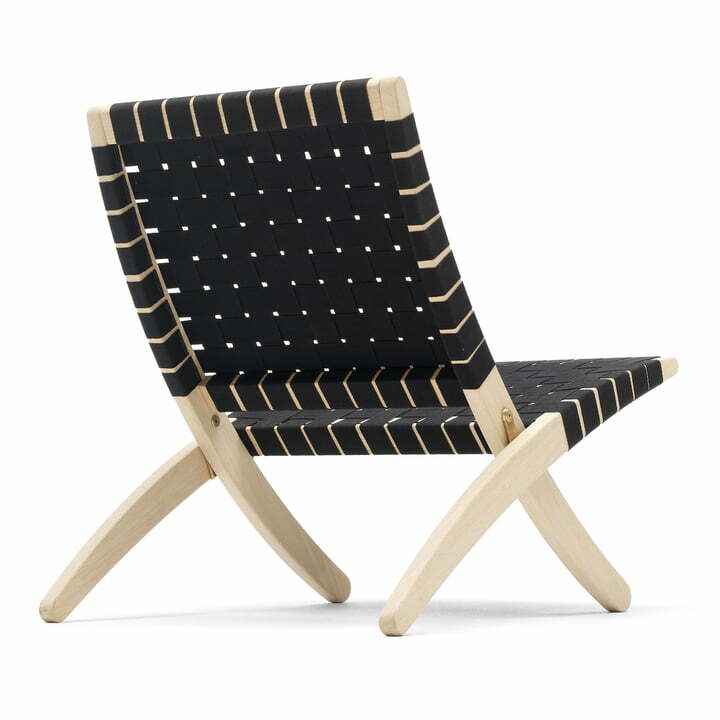 Individual image of the folding chair MG501 Cuba Chair with a solid wooden frame made of oiled oak and a girth mesh in black by the manufacturer Carl Hansen. The MG501 Cuba Chair represents the perfect solution when additional seats are needed and can be stored easily using a wall mounting or in a floor rack. The Cuba Chair’s girths weaving of the seat surface and the backrest provides excellent support and is very comfortable, because it adapts to the natural curves of the body. 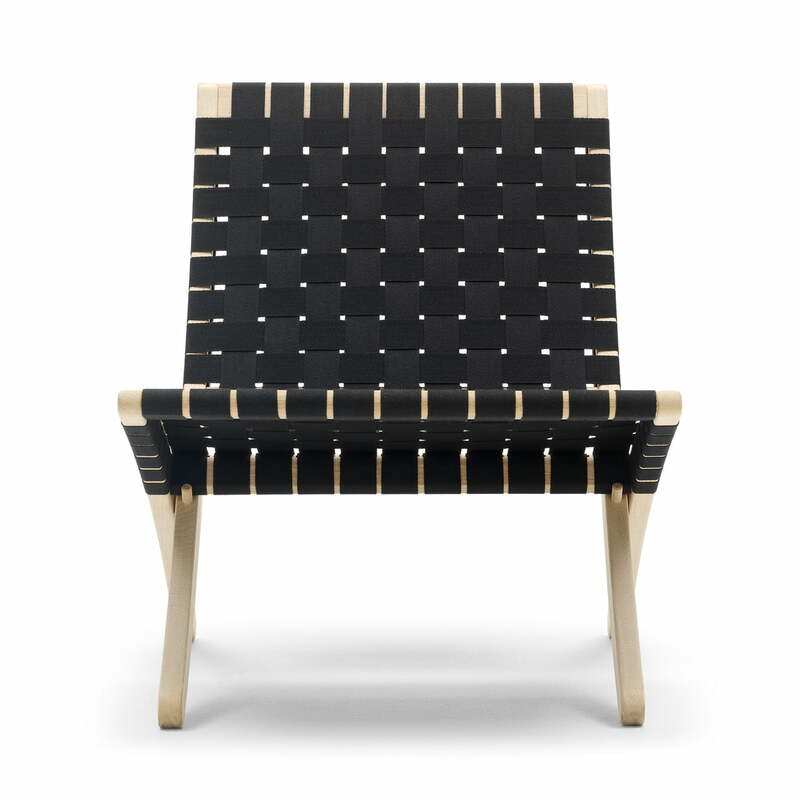 The MG501, also known as "Cuba Chair",adapts to any surrounding. It is a lightweight and flexible folding chair by Carl Hansen for the modern apartment, the living room, the pantry kitchen and similar rooms.